Explore all of the attractions in sunny southern California while staying at this Chula Vista hotel with a newly renovated deluxe wing. Ideally located a short drive from downtown San Diego with easy access to Interstate 5 and 805, the Best Western South Bay Inn offers every amenity to make guests feel right at home. This Chula Vista hotel is conveniently located near many southern California attractions such as the Chula Vista Wildlife Preserve, the Arco Olympic training center and Balboa Park. For added convenience, the Best Western South Bay Inn is situated right next to a San Diego Trolley stop. 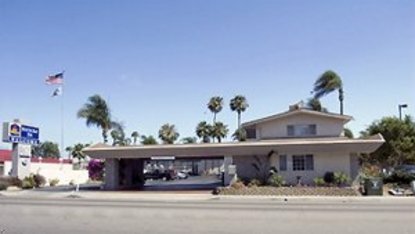 The Best Western South Bay Inn offers newly renovated guest rooms as well as deluxe suite accommodations. All rooms feature wireless high-speed Internet access, microwave and refrigerator. Select rooms come equipped with a DVD player. Hotel amenities include an on-site restaurant, complimentary continental breakfast, an outdoor heated swimming pool, business center and fitness facility. Hotel guests will appreciate the proximity to the San Diego convention center and the Gaslamp district. Spend the day walking around historic Coronado Island or go down to Tijuana, Mexico for a day trip. Families will enjoy being a short drive away from Sea World, the San Diego Zoo and Soak City Water Park. While in town make sure to catch a San Diego Padres baseball game at Petco Park. Make an online reservation today at the Best Western South Bay Inn.